Victorian Cameos Lecture at Acorn Hall - October 26, 2014 ~ The History Girl! 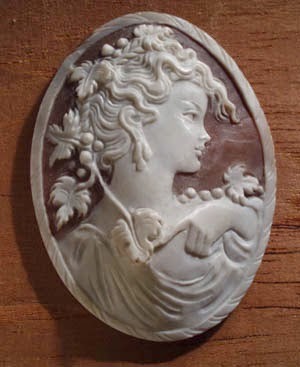 Victorian cameos have a timeless quality that distinguishes them from other jewelry. The Morris County Historical Society offers insight into Victorian cameos and their allure during a special lecture on Sunday, October 26 starting at 1:30 pm at Acorn Hall. During the lecture, guest speaker Nancy Cooper, a MCHS volunteer and former Board member, shares her extensive knowledge of Victorian cameos, and will display examples of cameos from her personal collection. Tours of Acorn Hall will be available after the lecture. The cost to attend the lecture and for a tour of Acorn Hall, is $6 for adults, $5 for seniors, and $3 for students. Children under age 12, and MCHS members are Free. The admission price may be applied toward membership with the MCHS. For more information about this special event, please call the Morris County Historical Society at 973-267-3465.